Update: Sorry! The code doesn’t seem to be working. No matter where you live, it’s a law of nature that it doesn’t have enough power outlets. 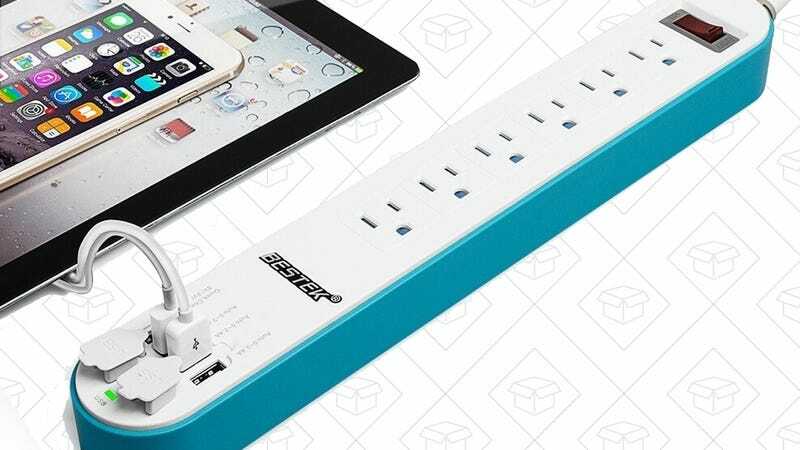 Luckily, this $19 surge protector can turn one outlet into six, and more impressively, includes four USB ports (including a Quick Charge 2.0 port!) for your mobile devices.